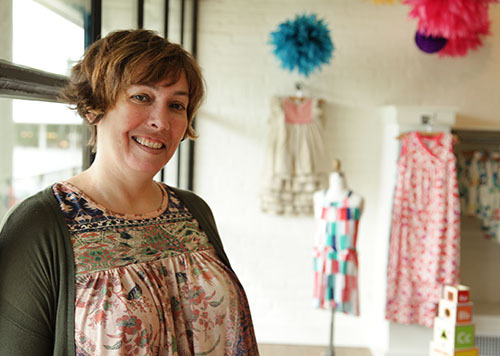 In 2002, Rachel Baba opened Sprout, a tiny shop for children. Over time it grew and grew, until she expanded into this current 4000 square foot space. 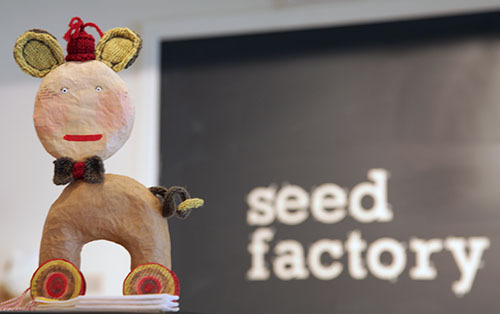 In 2008, she renamed her shop, Seed Factory. Inside you'll find clothing for ages newborn to 12, books, arts & crafts, wooden toys, plus a whole nursery section with furniture, baby basics and gifts. A basket of blabla dolls can only ensure happiness. When I need a baby or toddler gift, one of these adorable, super soft dolls is the first idea to come to mind. About once a month, Rachel hosts a Saturday Crafternoon for the kids as well as brings in artists to showcase local goods or creative activities. As summer is fast approaching, Rachel has stocked Seed Factory with tons of fun travel toys, arts & crafts and books. This fall she'll be carrying even more clothing by Tea Collection- a good quality, well priced clothing line that averages $25 per piece. And trust me, each and every one is adorable. What I'm particularly excited about is Rachel's recently completed online shop. No matter where you live, you can access her favorite finds and best sellers in just a click of the button. She's made it incredibly convenient and fun to shop for the child in your life- whether you're in her store or browsing on your laptop at home. As she continues to evolve her Seed Factory community, I'll be a big supporter. After all, it is my happy place.